Former Pakistani Cricketer and Chairman of Pakistan Tehreek Insaf Imran Khan has two sons Sulaiman Isa Khan and Qasim Khan who where burn by his ex-wife Jemima Khan. both the kids of Imran lives with their mother in England but they considers their father to be their ideal. 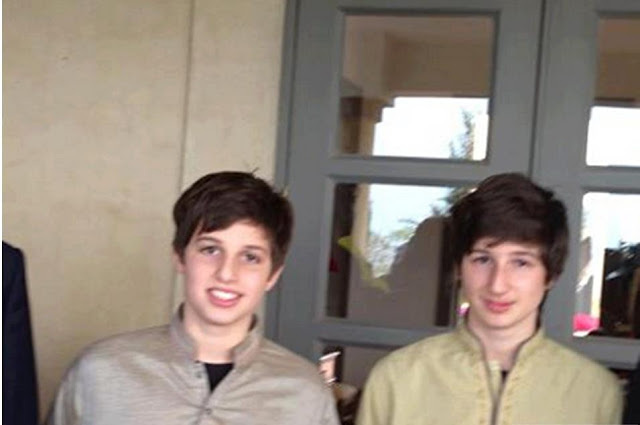 you may have seen pics of both Qasim and Sulaiman but now they have grown up. following is their new pic from February 2013 when they were in Pakistan.